Apologies for being a bit quiet on the blog over the last couple of weeks; as I mentioned, I had several deadlines in the space of a week and soon after had my final exams of my Masters course. 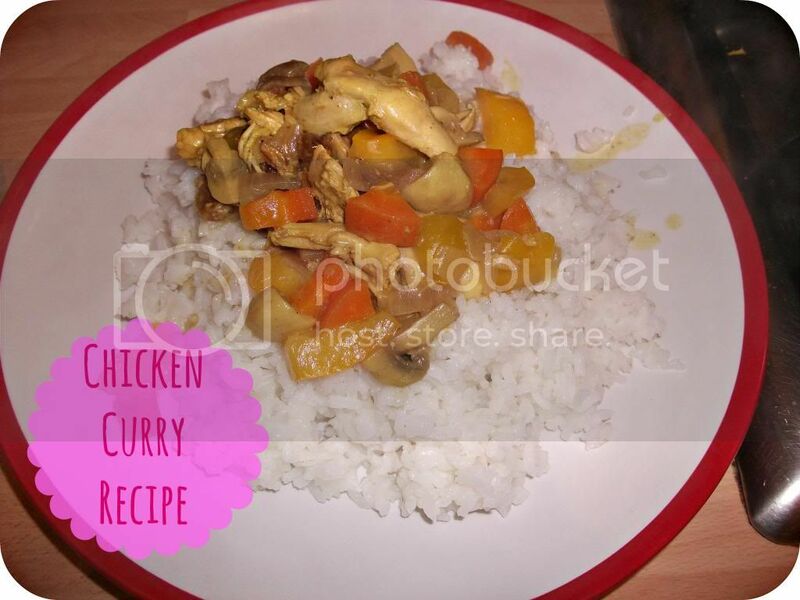 My last exam, Statistics, is tomorrow, and I'm fairly confident about that one so I thought I'd find the time to pop up a quick post with a recipe for chicken curry using leftovers from a roast dinner; obviously you could cook chicken specially if you so wished! 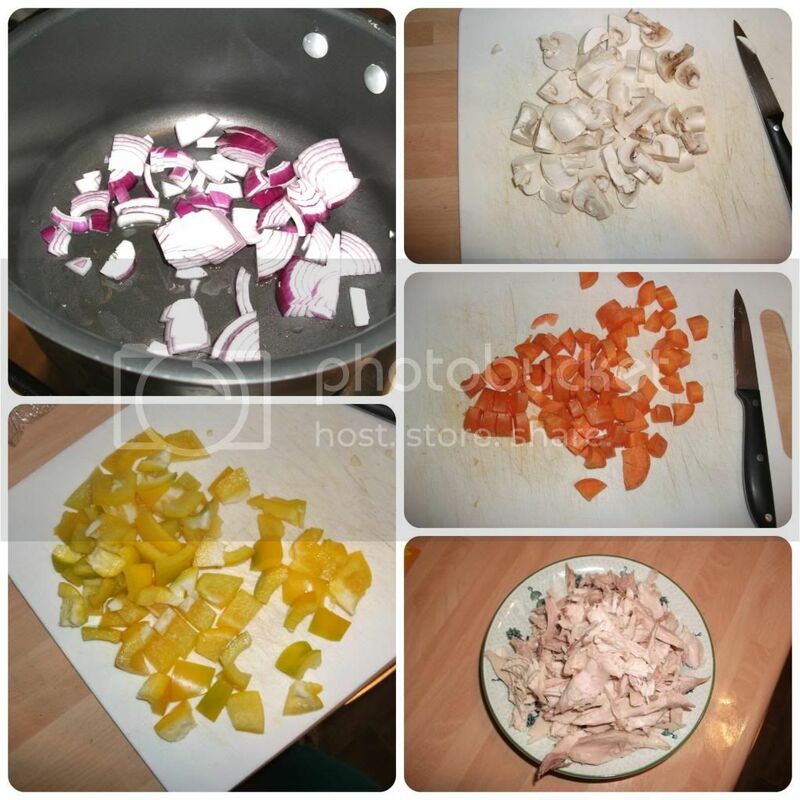 Start by shredding around 200g cooked chicken, peeling and dicing a large onion, a yellow pepper, 6-8 mushrooms, and two medium carrots. 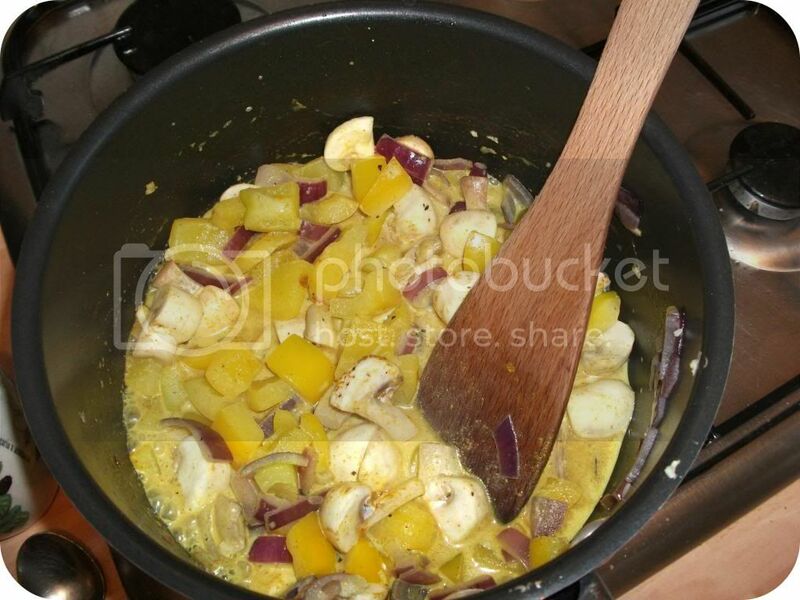 Fry the onion in a large saucepan with 1 tbsp olive oil for a couple of minutes, then add the pepper and mushrooms and fry for another few minutes, before adding 1 tbsp medium curry powder, 300 ml chicken stock and 300ml milk. Add the carrots, then turn the heat down and simmer for around 15 minutes, before adding the shredded chicken and simmering for another 15 minutes or so, until the sauce is reduced. Serve over rice - this makes enough for four people, or three if one of them is my boyfriend... It's lovely the next day warmed up for your lunch, too. Let me know if you give this a go, I'd love to hear how you get on! What are your favourite recipes for using up leftovers? This looks absolutely delicious! *stomach rumbles*. Usually if I cook masala (or even curry), if I have left leftovers, I will boil some pasta. Mix in dolmio sauce with the curry and have it with the pasta. A lovely fusion dish! P.S - Good luck with your exams t'moro, lovely! Oh wow that looks so good! I love leftovers and you made it look like a new dish!